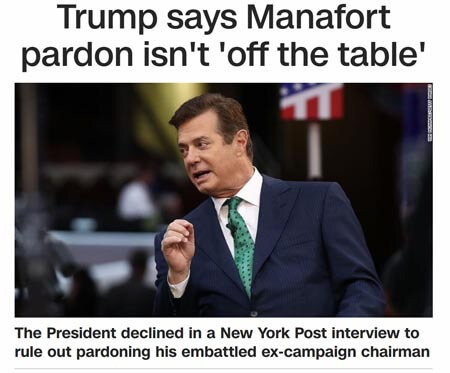 Trump is screaming at the top of his lungs that Manafort should stay quiet, and that if he does, Trump will make sure everything comes out okay. This is the death of the Republican Party. Corruption and traitors acting at the highest levels, and putting it out there for everyone to see!!!! Save our party, call your representatives, let them know they need to stop Trump from obstructing justice. Our countries future depend on it.